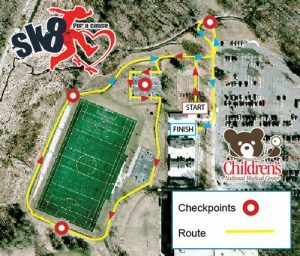 Skaters of all ages will skate a checkpointed route through Wakefield Park in an effort to raise money for Children's National! All ages/ All Levels. Skate a route through park to raise money for Children’s National Medical Center in Washington D.C. It only takes raising $10 in donations for Children's National to receive a prize! Get your Family, friends neighbors or local businesses to sponsor you. Prizes for all participants given out along route! Top 10 money raisers receive additional prizes! Top money raiser also receives Scholarship to Camp Woodward. Since this is a FUNDRAISER we encourage you to collect as many donations as possible for Children's National**. There will even be prizes awarded to the participants who raise the most money for these causes. We suggest finding Sponsors (friends, family, companies etc. that are willing to donate if you participate in the ride) to help your donation effort. Visit Fairfax Surf Shop or Click below Download a Sponsorship Form to keep track of your donations. Remember to bring in all your donations, cash or check**, in a sealed envelope with your name on it with you to the event check-in.